Doug Rothschild will join the company as President, reporting to Founder and CEO, Don Steinbrugge. Agecroft Partners, an institutional hedge fund consulting and third party marketing firm, announced today that Doug Rothschild will be joining the company as President, reporting to Founder and CEO, Don Steinbrugge. As President of Agecroft Partners, Rothschild will assist in the day to day operations of the firm including representing the firm and its clients to institutional investors and helping with hedge fund consulting assignments, together with other strategic initiatives of the firm. 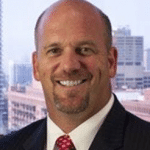 Doug brings over 20 years experience in the financial industry, including serving six years on the executive committee of one of the largest hedge funds in the world and over four years as president of a large alternative investment firm. He possesses a strong understanding of global capital markets, hedge fund strategies and institutional investors over his career. Founded in 2007, Agecroft Partners is a licensed broker-dealer, registered with the Securities and Exchange Commission (SEC) and is a member of The Financial Industry Regulatory Authority (FINRA), member SIPC and a member of The National Futures Association (NFA). Agecroft Partners believes there is consolidation within the third party marketing industry, where the top firms in the industry are raising a disproportionate amount of the industry assets. These top firms are typically able to attract higher quality hedge fund firms, because of their institutional infrastructure and industry reputation. As a result, Agecroft Partners will continue to look for additional strategic hires or acquisitions in the future.